Fr. 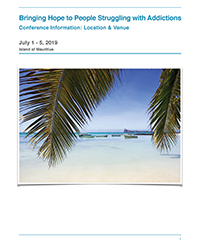 Louis Jocelyn Gregoire, CSSp, in collaboration with the School of Education of Duquesne University in Pittsburgh, Pennsylvania, USA, would like to welcome you to the first annual addictions conference to be held in the beautiful Island of Mauritius from July 1 through July 5, 2019. This international conference will bring together leading academic and research scholars, addiction specialists, and mental health professionals to exchange current research findings and share valuable clinical experiences regarding topics related to substance, gambling, and sexual addictions. Provide an excellent opportunity for clinicians, social workers, and health care professionals to network and exchange fruitful ideas regarding addiction treatment. For tentative conference schedule, please click here. 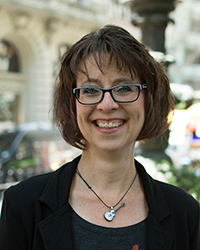 Jody Bechtold is a licensed clinical social worker, Internationally Certified Gambling Counselor, Professional Coach and Board Approved Clinical Consultant with nearly 20 years of experience in coaching, consulting and clinical practice. She is the CEO of The Better Institute, headquartered in Pittsburgh, PA. She serves as a committee member of the National Council on Problem Gambling (NCPG) and Vice President of the Board for International Gambling Counselor Certification Board (IGCCB). She is an expert in the prevention, intervention, and treatment of gambling addiction. Jody holds a Master Degree in Social Work from the University of Pittsburgh's School of Social Work, a Bachelor's Degree in Business Administration from the University of Pittsburgh's College of Business Administration, and is a graduate of the Professional Coaching Certification Program from the Duquesne University School of Leadership and Professional Advancement. She has conducted research, served as adjunct faculty, and guest lectured on numerous topics including gambling addiction, technology & mental health, and innovative solutions for client engagement. Dr. David Delmonico is a Board Certified Counselor, Approved Clinical Supervisor, and Professor at Duquesne University in Pittsburgh, Pennsylvania (U.S.). Dr. Delmonico earned degrees in psychology, community counseling, and counseling and human development services at Kent State University; Kent, Ohio (U.S.). Dr. Delmonico is co-director of Internet Behavior Consulting, LLC (IBC). He conducts research, consultation, and training on topics related to problematic sexual behavior - including sexual addiction / sexual compulsivity / hypersexuality, cyberpsychology, and cyberoffense behavior. Dr. Delmonico provides expert consultation to counselors, psychologists, the judiciary, attorneys, and others on these topics. Dr. Delmonico is co-author of four books, including In the Shadows of the Net, Cybersex Unhooked, Cybersex Unplugged, and Illegal Images. He has published numerous peer‑reviewed articles on a variety of sexuality topics. Dr. Delmonico is the founder and director of the Online Behavior Research and Education Center (OBREC) at Duquesne University, and is past Editor-in-Chief of the Sexual Addiction and Compulsivity journal. 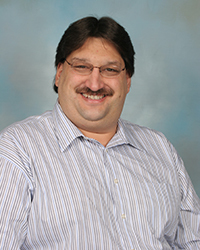 Dr. Jim Matta has worked at the Pittsburgh Adolescent Alcohol Research Center (PAARC) (affiliated with Western Psychiatric Institute & Clinic and the University of Pittsburgh Medical Center), where he worked as a Senior Research Principal. PAARC was the first research center in the United States designed to enhance the understanding of the structure, development, and consequences of adolescent alcohol use disorders. He recently stepped down from this position after working there for almost 30 years. During this time he has been involved in well over a dozen major research studies ranging from genetic research, to drug and alcohol longitudinal studies, to comorbid treatment intervention investigations targeting adolescent and young adults. His expertise involves clinical assessment, diagnosis and treatment intervention of individuals struggling with substance use. Dr. Matta is also a professor at Geneva College in Beaver Falls, Pennsylvania, where he is the Coordinator of the Clinical Mental Health Program. 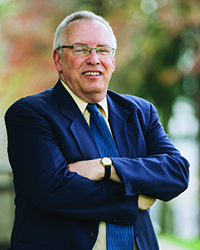 Currently he serves as the President of the American Association of State Counseling Boards. He also is the past Chair of the State Board of Social Workers, Marriage & Family Therapists and Professional Counselors in Pennsylvania. The Board regulates and controls over 20,000 licensed professionals in the Commonwealth of Pennsylvania. Dr. Matta holds a Doctorate in Counselor Education and Supervision from Duquesne University, as well as a Master of Education Degree in School Counseling. He also earned a Master's Degree in Clinical Psychology, and Bachelor's Degree from Edinboro University of Pennsylvania. The ability to provide concrete recommendations for addictions treatment at individual and community levels. Proposals should address substance abuse (drug and alcohol), gambling, or sexual addiction and can be from a theoretical, research-oriented, or clinical perspective. The abstract and proposal summary should make clear which of the three areas of addictions the presentation will address. Please indicate the type of proposal you are submitting: a 45-minute lecture-style educational presentations or a poster session. Note: You may submit more than one proposal, as there are three different presentation areas (subtance addiction, gambling addiction, or sexual addiction). Each presentation requires a separate submission. Specifically identify how your presentation will be applicable to the treatment of addictions. Note: Only the peer-reviewers will view the proposal summary; it will NOT appear in the printed conference program. If accepted, the title, and abstract, all presenters will appear in the conference program. After your proposal is accepted, please go to the "Registration" tab at the top part of this page and complete the registration if you intend to attend the conference. All presenters must be registered for the conference. If you do not receive a confirmation email after submitting this form, then the proposal was not received in the electronic submission database. Please contact Dr. Jocelyn Gregoire at gregoire@duq.edu. Registration includes: access to opening ceremony, plenary session, breakout sessions, panel discussion sessions, tea/coffee breaks, lunch and closing ceremony and party and discounted traveling package from Concorde Travel Agency (for non-local participants). Professional participant fee: USD 250. Conference Participants outside the U.S.
Concorde Travel Agency can assist with travel packages for participants outside of the United States. Fr. Louis Jocelyn Gregoire, Ed.D.